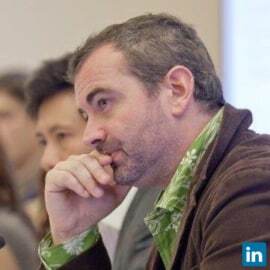 Pascal is the Owner and Principal at [édito] and a senior consultant for Health 2.0 Ltd., acting as the company’s Executive Director for all international activities – conferences and consulting. He is in charge of promoting health innovation ecosystems around the world and connecting key stakeholders including startups, payers, providers, health authorities and VCs. He is the lead producer and curator of the Health 2.0 Europe conference, and oversees the programmes for other conferences like Health 2.0 India, Health 2.0 Middle East, Health 2.0 Latin America, Health 2.0 Asia, and more – which gives him a broad and unique perspective on health entrepreneurship around the world. As such, he reviews and advises several hundred digital health companies every year, with a special focus on European SMEs and liaises with 110+ Health 2.0 Chapters around the world, including 28 in Europe. In 2013-2015, he managed the GET Funded service of the EU-sponsored project ‘GET’, designed to provide EU health SMEs looking for follow up funding with training, resources and networking opportunities with investors at the European level. In this role, he worked very closely with a pool of 50+ European eHealth investors, and advised health SMEs on how to align with their investment criteria. Pascal has a Bachelor in marketing from the Technology Institute of Paris and a Master’s in Philosophy from the Sorbonne.